Barry Jenkins' fantastic Moonlight recently became the lowest budget film to ever take home the Oscar for Best Picture. It was a truly exciting night when the film took the prize after it was mistakenly handed out to La La Land first. Still, for all of his accomplishments, Jenkins seems even more excited about a bootleg copy of the film he found on Blu-ray. Jenkins is currently on vacation in Mexico, where he stumbled upon a bootleg copy of his masterpiece at a sketchy DVD market. Rather than grimace at the illegal item, Jenkins held it up with a massive grin. "To fully comprehend this, you must know that Muna is a town with a population of 11,000 souls, a small-town lover's kinda small town on the way to the Mayan ruins of Uxmal," he wrote. 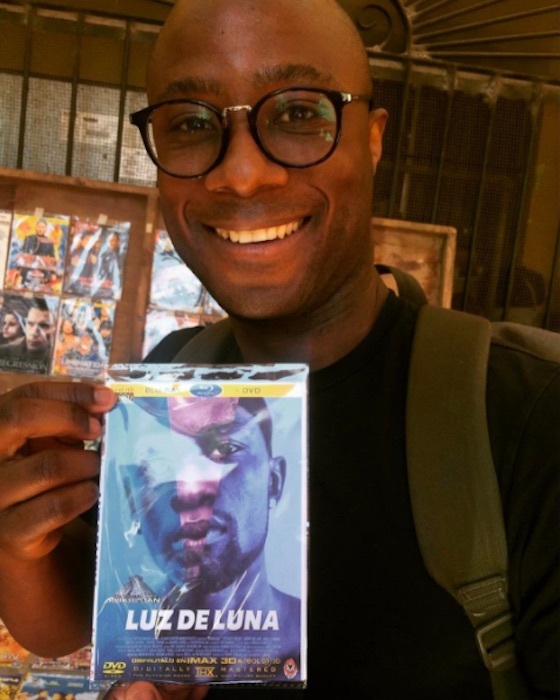 "We stopped for some fruit at an open air market and lo and behold, Luz De Luna. Mama we made it!!!" Peep Jenkins' Instagram post below.